Hwang Young-Min (born December 23, 1981), best known by his stage name Tim, is a Korean American k-pop ballad singer. His songs are mostly about unrequited love or parted lovers. He has come into the spotlight as the next successor of male ballad singers in South Korea after Shin Seung Hun and Lee Seung-Hwan. Tim has participated as a producer and also an album designer for his third album. Born into a Christian family in Philadelphia, with his father as a pastor for a local church, Tim was exposed to a musical environment early on as a child. At his father's church, he naturally learned to play various instruments like the saxophone and piano. Throughout his childhood, Tim pursued musical activities in both schools and churches, as a member of the church choir and a saxophonist in the school jazz band. However, until he was picked up by an entertainment agency, he had never thought of becoming a professional singer. During his high school career, Tim also modeled and acted. Prior to his singing debut, however, Tim was in charge of an MTV Korea program called "Tim's World" (started in December 2, 2002) which showed documentaries on the path and struggles of new singers like himself. The story told as by Tim has it that at the age of 20, Tim was approached by a Korean pop music producer (the son of a fellow church member). After listening to a tape, it was requested that Tim fly to Korea for a full audition to make a debut as a pop singer in Korea. Though he and his family had a very conservative background, Tim decided to fly to Seoul alone for the first time, give up his life as a college student and try his hand at becoming a Korean pop singer. Having never had visited Korea until he graduated high school, Tim spent the first two years in Korea focusing on learning the Korean language and preparing for his debut as a singer. While training for his debut album, Tim was very fortunate to have met Yoon Sang, one of the top song writers in Korea and also a great senior and mentor as a singer. Yoon Sang wrote (I Love You), a soft ballad that matches Tim's voice and image perfectly. 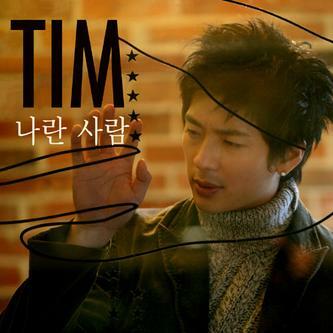 Tim was supported by Yoon Sang in creating his musical style, and his debut album (released April 21, 2003 by Yejeon Media) received great response. 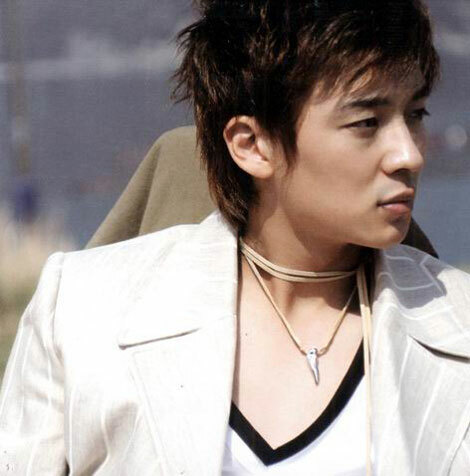 Tim began gaining great recognition in the local pop music market when senior ballad singers like Shin Seung Hun commented favorably on Tim's music. His second album Second Breath was able to mirror the success of his first album with the hits "Gomawottago. .. (I Was Thankful)" and "Iyagi (The Story)." He has since appeared on a number of Korean variety shows such as Love Letter, X-Man, Star Golden Bell, and Heroine 6.